Posted by Teresa Mihelic HelpDesk on Tuesday, June 4th, 2013 at 9:32am. 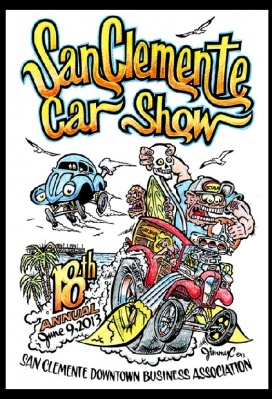 This is the 18th Annual San Clemente Car Show , and this years show has been sold out again! The San Clemente Car Show has featured in the past more than 300 cars on display on Avenida Del Mar in the heart of historical Downtown San Clemente and offers free Spectator admission. It’s a wonderful annual family event packed with entertainment, vendors, and food. Profits and proceeds from this event enable the Downtown Business Association to produce several important functions that play a vital part in the business community of beautiful Downtown San Clemente.